Moving to Australia where latest figures show that house price growth in South Australia is currently the highest in the country. Moving to Australia: Adelaide house prices increased by 2.5 during November, more than double the growth seen in Sydney (1.2 per cent) and Melbourne (1.1 per cent). Adelaide also had the greatest weekly house price growth with an increase of almost one per cent. Home prices have increased by 5.7 per cent this calendar year and are up 3.6 per cent on the same time last year. The average price of a house is $430,000 and the average cost of a unit is $375,000. House prices have been driven up by a shortage of properties and a wet winter season. Darrell Todd, founder of thinkingaustralia, says: “There is no shortage of buyers willing to buy, but there simply have not been enough properties available and that has forced up prices”. 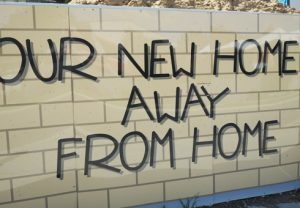 Investors in Melbourne and Sydney are increasingly targeting Adelaide property due to the higher prices in those cities.